Welcome to another Top Ten Tuesday as hosted by the lovely people over at The Broke & the Bookish. Today’s topic is all about our ALL TIME favorite books in whatever genre we wanted to pick, so I chose fantasy. It’s my favorite genre to read from and so it should be easy to pick books, right? Well, I hope. 1 . City of Glass by Cassandra Clare – This was such a perfect wrap up to what was going on in the plot and I really loved this one. Clary really grew as a character, and everything just came together really nicely. 2. Twilight by Stephanie Meyer – This will probably forever be on my all time favorites lists because it revolutionized a lot of reader’s love for reading, and this really helped to bring me back to loving reading novels. 3. Daughter of Smoke & Bone by Laini Taylor – I loved the writing in this book, the tales that were weaved, the characters, the story, everything about it was just beautiful to me. 4. The Kiss of Deception by Mary E. Pearson – As this was my first ever audiobook, I really loved it! The story was enchanting, the characters were all wonderful, and I just love the lore and the mystery behind everything! 5. Queen of Shadows by Sarah J. Maas – This series seriously gets better and better with each book, and since I haven’t finished Empire of Storms yet I can’t exactly put it on this list, but this one is for sure amazing. Love love love! 6. The Final Empire by Brandon Sanderson – This was my first adult epic high fantasy read and it was so good. There was so much action and so much put into this world, and it’s only the first book! 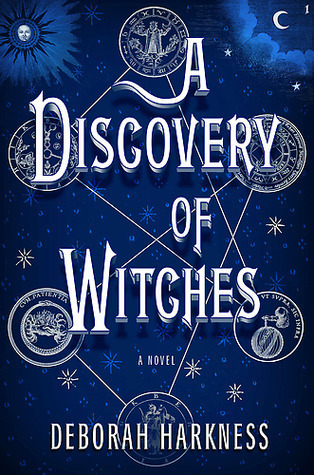 I loved the characters, the plot was interesting, and the magic was unique. 7. Fushigi Yuugi by Yuu Watase – This is my favorite manga series of all time, and it’s fantasy, so if I didn’t put this on this list then there’s something wrong with me. I love the story, the characters, the art, the plot, everything about it is amazing in my eyes. I highly recommend this series! 8. The Raven King by Maggie Stiefvater – Excuse me while I go search for my heart because THIS BOOK DESTROYED ME. This finale was so epic and lovely and intense and WE ALL KNEW WHAT WAS COMING, BUT COULD WE HANDLE IT? NO! So good. 9. A Court of Mist and Fury by Sarah J. Maas – FAVORITE. BOOK. OF. THE. YEAR. I loved this book SO much and it DEMOLISHED ME (since TRK destroyed me, you know). The characterization was awesome, the setting was beautiful, SQUAD GOALS, action, romance… it was everything I needed in my life and more. 10. Dreams of Gods and Monsters by Laini Taylor – As the third and final book in this trilogy, my heart soared when I read it. It was so beautiful and huge (seriously, the book is massive in comparison to the other two) and I felt like it wrapped up everything wonderfully. Of course I want more, but you know, it’s fine the way it is. 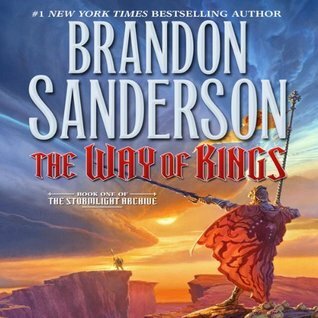 What are some of your all time favorite fantasy books? What about other genres like mystery, contemporary, or anything else you can think of? Let me know! This entry was posted in Top 10 Tuesday and tagged all time, all time favorite books, books, fantasy, favorite, read, reading, top 10 tuesday, top ten tuesday. Bookmark the permalink. It’s so good! Highly recommend the audiobook if you’re able to get it.